After Manny calls a cleaner to the shop, he and Bernard must vacate it. Luckily they are asked to house sit for a friend. Meanwhile Fran goes on an ill-fated date. Review: Revolutionary Goals—Corneliu Porumboiu's "Infinite Football"
How many episodes of Black Books have you seen? Bernard: I love my thumbs. Pessimistic, Sarcastic, Ironic & witty! I totally disagree with the other review. Black Books couldn't be funnier. It's one of a kind that takes on board other people's sense of humour, instead of sticking to the same dull and predictable jokes of programmes like Friends and Will & Grace. To say that it tries too hard to be funny, is unfeasible! 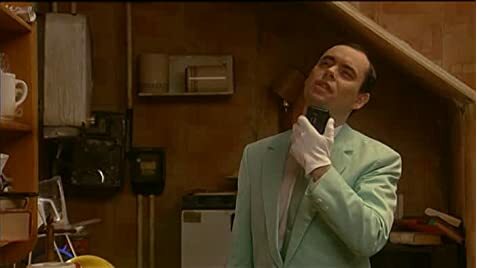 Some of its most clever jokes almost go unnoticed, and without the aid of canned laughter! 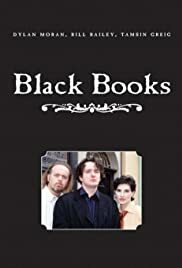 Whilst I am a fan of both, when I saw Black Books, I loved it! It's easy to empathise with the pessimistic Bernard, particularly if you're a similar type of person and to sympathies with the gradually stupider Manny. Everyone knows a Bernard or a Manny in their lives, which makes Black Books hilarious! Watch it! 156 of 165 people found this review helpful. Was this review helpful to you?